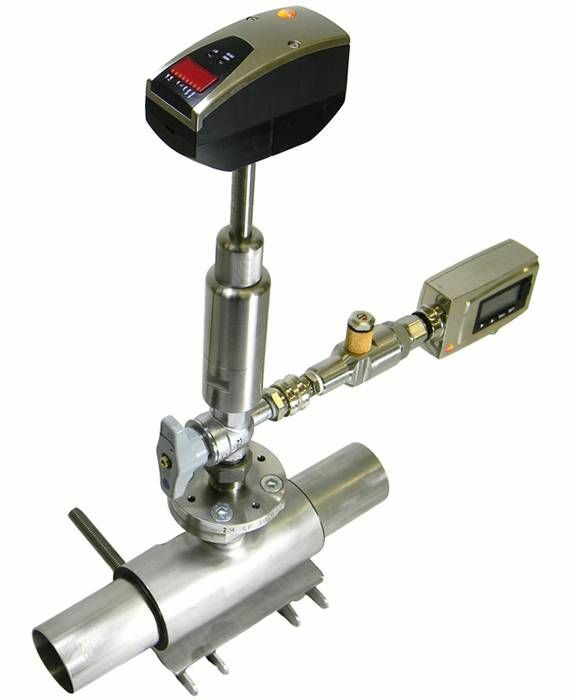 The mobile compressed air counter testo 6448 is designed for the recording and monitoring of compressed air consumption, and thus not only for the identification of leakages in compressed air systems and the allocation of costs by consumption, but also for the implementation of peak load management. 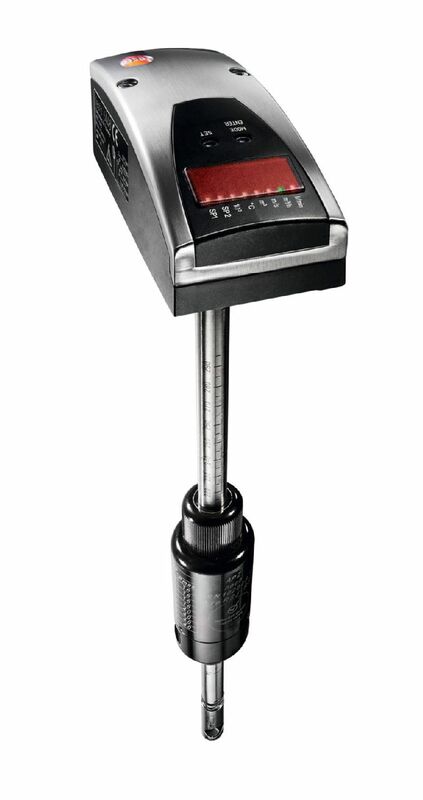 The shaft probe can be used for measurements on different pipe diameters. 1. the recoil protection, i.e. the sensor can only be inserted in one direction during installation. 2. the seal to the process, i.e. thanks to the O-ring, compressed air cannot escape during installation. 3. the positionabe fixing, since a penetration depth and positioning which is exact to the millimeter, similar to a car's clutch, is possible.